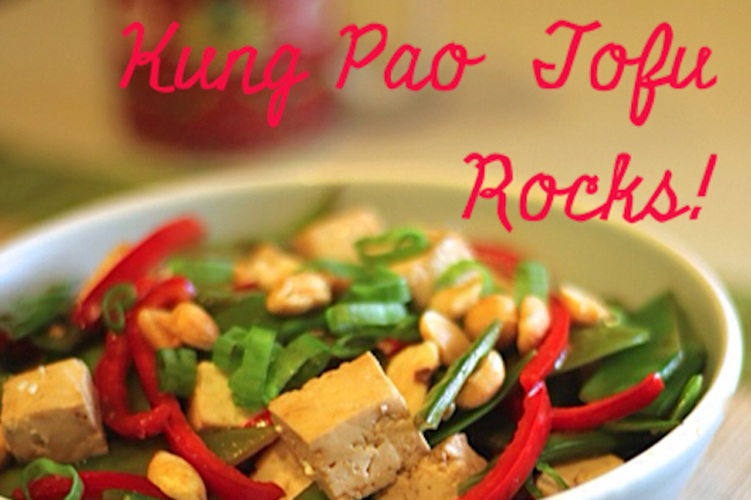 Looking to put the POW in your Kung Pao? 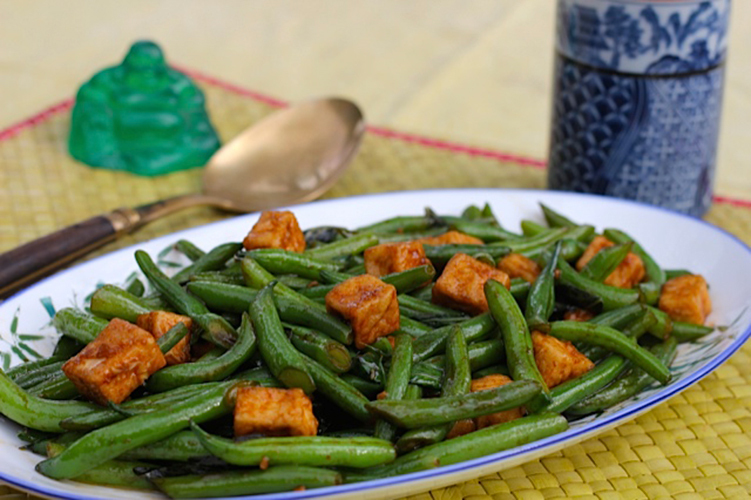 Look no further because my simple vegetarian take on this classic Szechuan recipe is loaded with yummy flavors from the sesame oil, rice vinegar, soy sauce, srircha and Chinese rice wine and some POWerful protein from the tofu and peanuts. For a vegan version, just replace the soy sauce with tamari. 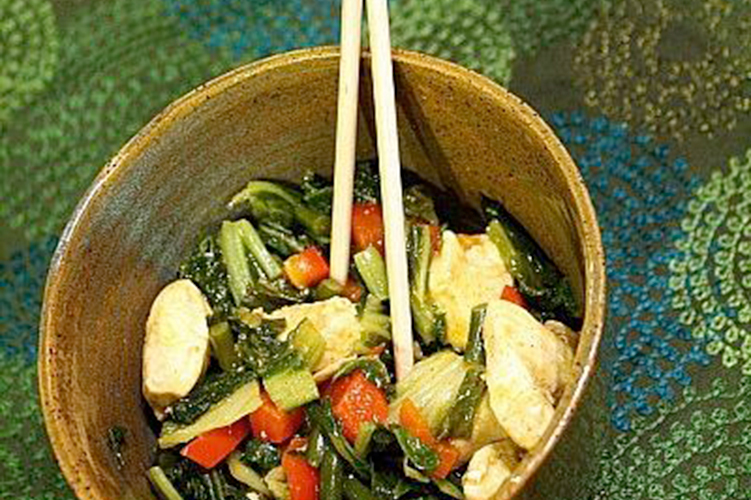 If you prefer it less spicy then replace the srircha with dried Chinese chili peppers or chilies de arbol. Stir-fry the chiles with the garlic and toss everything else in. 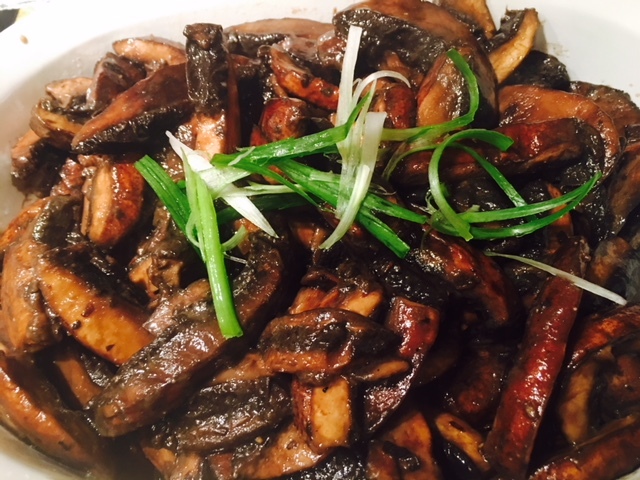 I love to serve this over some steaming hot brown jasmine rice or quinoa. It pairs nicely with a glass of sauvignon blanc. 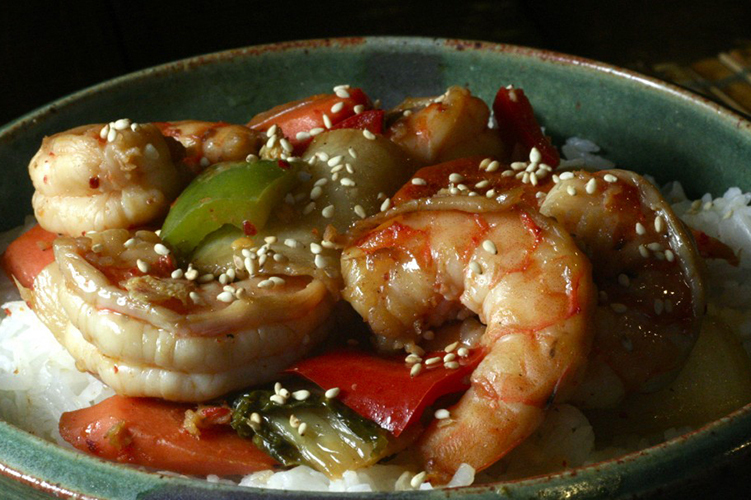 Combine stir-fry sauce ingredients in a small bowl. Set aside. 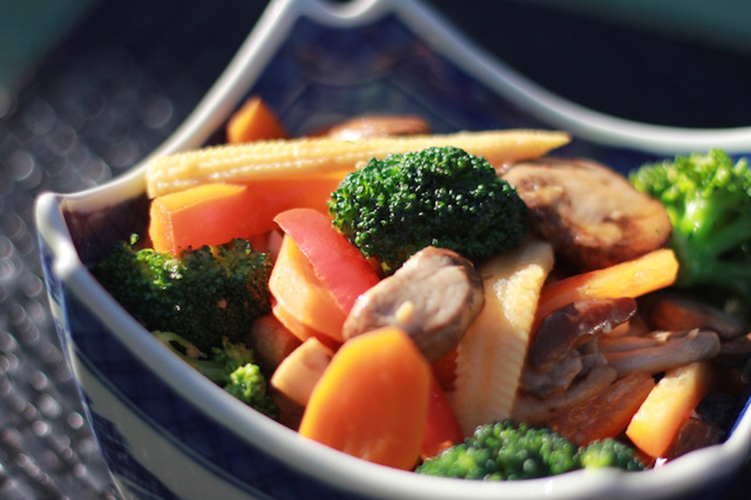 Heat a wok or large frying pan until hot over medium-high heat. Add garlic and stir-fry until fragrant, about 30 seconds. Add tofu and and stir-fry for 2 minutes. Add the red bell pepper and stir-fry 2 minutes. Add the stir-fry sauce and cook for 1 minute, tossing to coat. 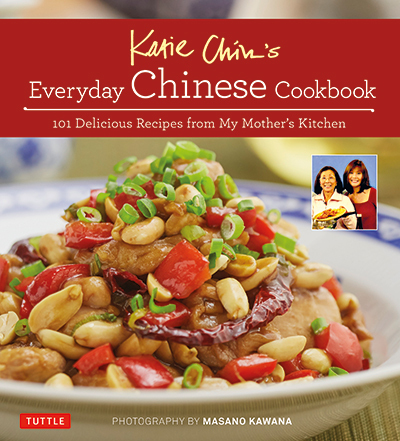 Add the peanuts and green onion and stir-fry for 30 seconds. 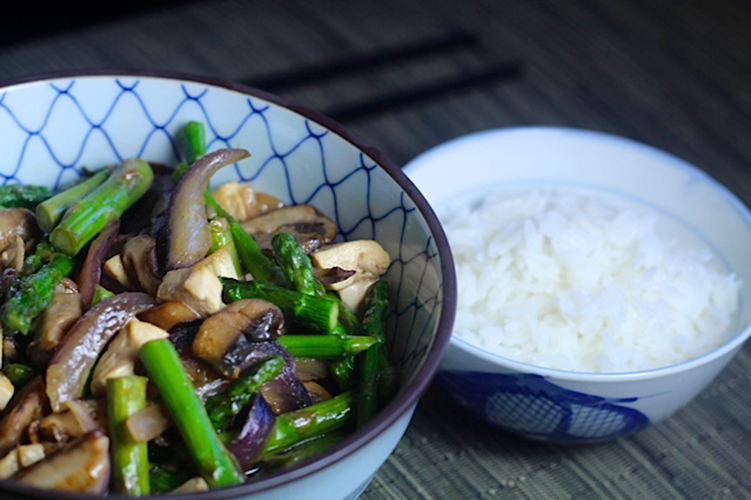 Garnish with more green onions and peanuts and serve immediately with hot, steaming jasmine rice.